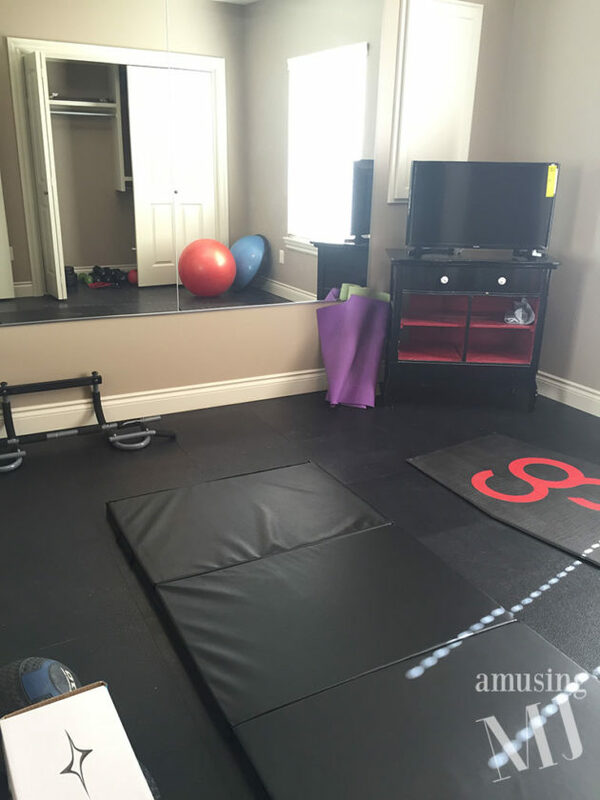 The floor in the room is a rubber gym mat type floor that the previous owner had installed, but we wanted something soft and cushy for the girls to play on, so earlier this spring I started searching for a good area rug for their playroom. And silly me… I checked Land of Nod (you know… just for inspiration) and fell in LOVE with this candy dot rug. 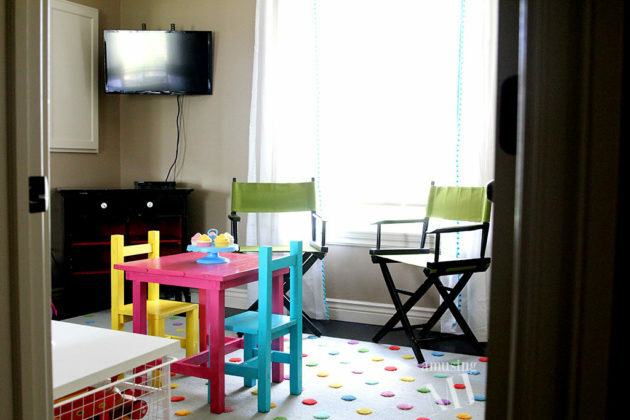 And yes, I am well aware that $800 dollars is entirely too much to pay for a rug that is going to go in a play room and probably have crayon and goldfish crammed into its tiny little fibers. So I didn’t buy it. And I kept looking. And I couldn’t find anything else that I loved… so I talked my mom (bless her!) into buying half of it for me for my birthday. And it is perfection. 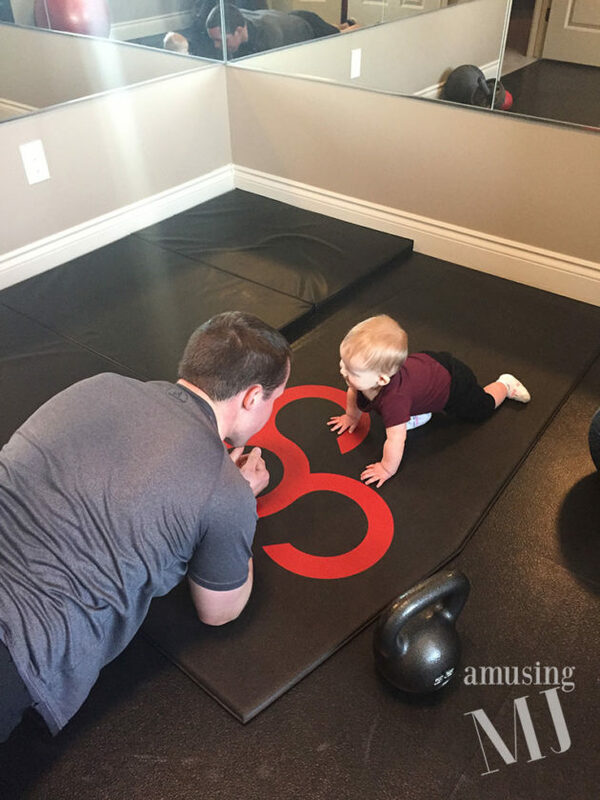 And we had a 15% off coupon with free shipping–so yay! 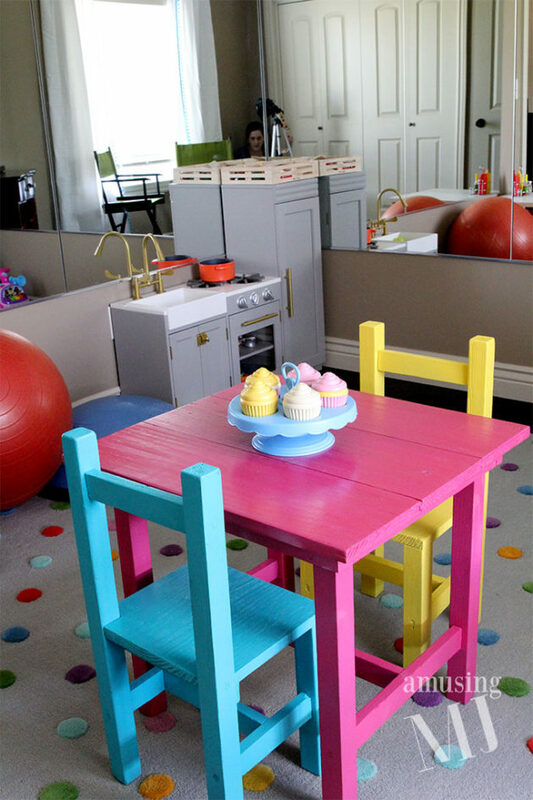 My grandfather built two sets of those tables and chairs for my mom and her sisters when they were little girls and I had one set stripped down (eek… they had lead paint on them and I didn’t really want Taylor ingesting any lead paint). Land of Nod had a picture in one of their catalogs of the rug with similar color table and chairs, so I can’t take credit for that inspiration, but I LOVE how cute and fun it turned out! I have to give a huge shout out to my mom and my husband who painted those for me, since I try to stay away from spray paint and similar things while pregnant. 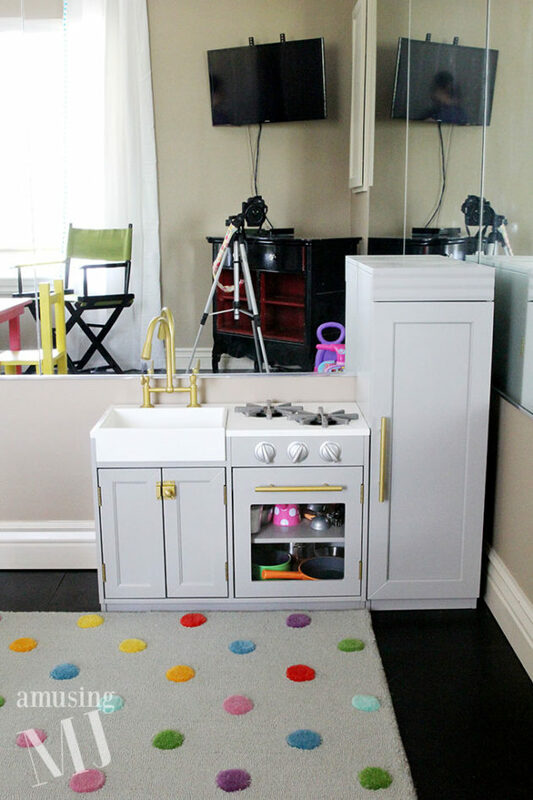 The play kitchen is the Chelsea All In One kitchen from Pottery Barn Kids and Taylor loves it. She is always getting out her food and pots and pans, etc. and to bring you strange concoctions like a tomato and chocolate chip cookie sandwich. We definitely needed some adult seating in there- and in these pictures I have put our Pier 1 Director’s Chairs in black that I have had FOREVER with some green covers on them (long story… but I’ve also had the green covers that I bought forever ago in the garage and it turned out they looked cute in this room!). HOWEVER, since I took these photos last week, we have put a love seat that my aunt wasn’t using anymore in there for some more comfy seating, but I’m trying to decide whether or not to recover it! Notice that I didn’t show you the other half of the room in the picture above… that is because this room has reverted back to its normal state of TOTAL DISASTER ZONE. And that is the whole point of the room, so I’m just going to leave it that way. And if I never have to reassemble the 16 piece cupcake set that Taylor loves to dump over? Ladies and Gentleman, that is what we call success. 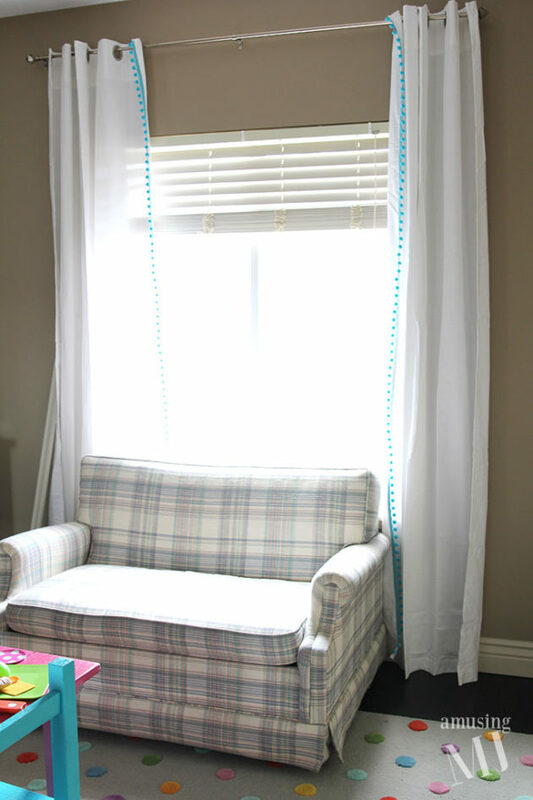 I also had some curtains that I had purchased for the living room at our house in Texas (but had never gotten around to hanging) that were simple white curtains, so I decided to sew some fun trim on the edges to give it a little pop of color, and I LOVE the way they turned out! 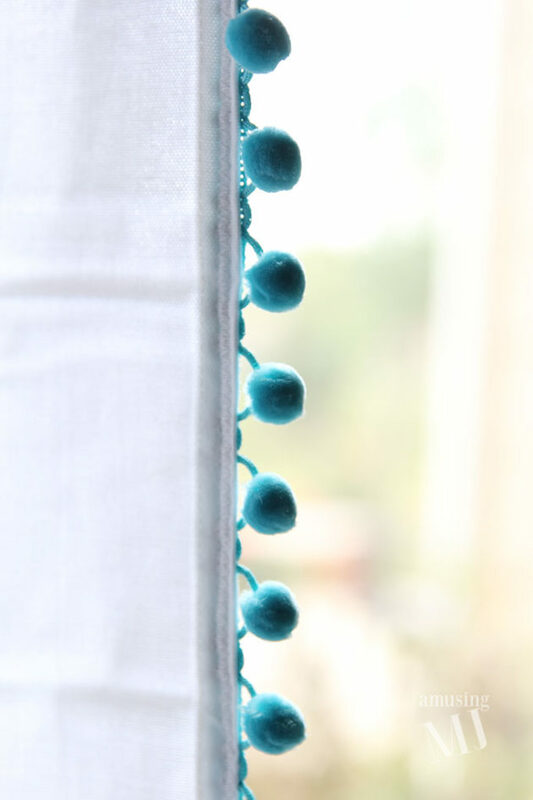 This was super simple to do, I just picked up some of the ball trim at JoAnns and gave it a zig zag stitch along the edge to secure it to the curtains.